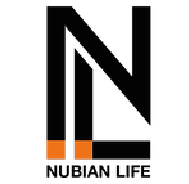 Nubian Life provides Adult Day Care Services for Older (65 years +) African and Caribbean residents in the North and South of the London Borough Hammersmith & Fulham. Since its inception in 1996 the charity has dedicated itself to creating positive experiences and outcomes for its service users and staff. As a result Nubian Life has established itself as a specialist provider in the adult social care sector, by becoming expert in meeting the individual needs of clients with a range of critical health issues, such as Dementia, Alzheimer’s, Diabetes and physical and visual impairments.